"... a huge step forward in sound recording techniques where jazz is concerned. The recordings have a 'live' quality not present in many others." "... widely regarded as one of the most natural-sounding jazz recordings of all time ... a long-standing audiophile reference ... contains excellent music and performances." "You hear the clink of glasses, the chime of the bell to acknowledge a tip, the burr of conversation. It all fits; that intimate club atmosphere that sparks jazz at its best. You feel as though you're there. Which is (engineer) Palmcrantz’s triumph and why Jazz At The Pawnshop is likely to continue to fascinate both jazz and audio fans for a good many years to come." The recordings that comprise Jazz At The Pawnshop, made by recording engineer Gert Palmcrantz in 1976, are widely regarded by audiophiles as the best jazz recordings of the 20th Century. 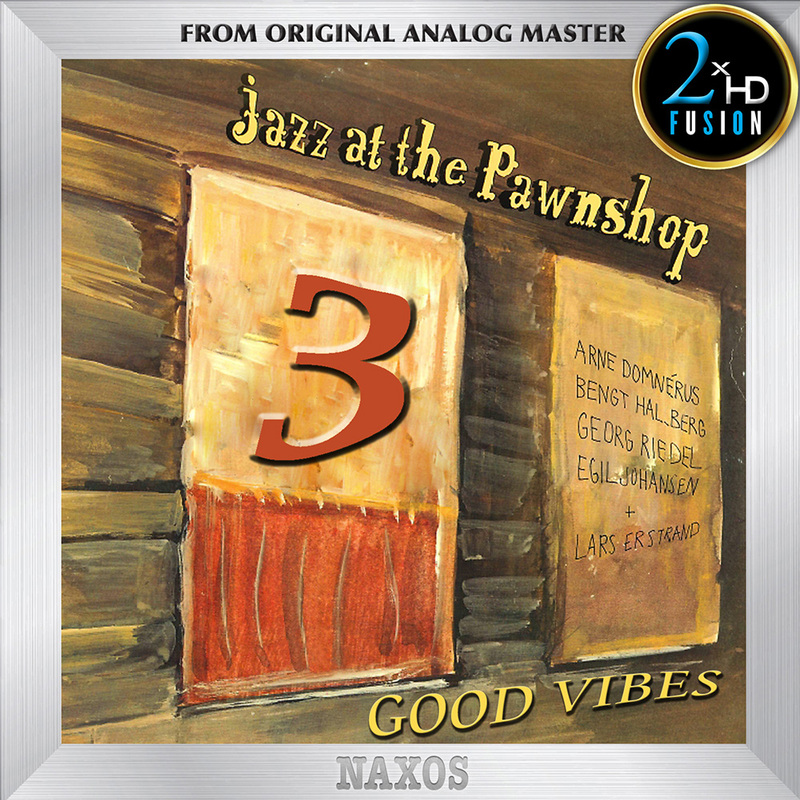 Jazz At The Pawnshop 3 is the last in this series that revisits the legendary Stockholm sessions from musicians Arne Domnerus, Bengt Hallberg, Georg Riedel, Egil Johansen, and Lars Erstrand, presenting five previously unreleased tracks that highlight the unique relationship these jazz musicians have, their fervent improvisations bonding them to each other and to their audience.